The author thinks that any discussion on the historical restoration of toponyms in Irkutsk is unpromising and offers to treat toponyms as a resource for vitalizing the city space. This could be a priority approach to the problems of city toponymy. ROZHANSKY, Mikhail. Toponymy Can Be Alive. 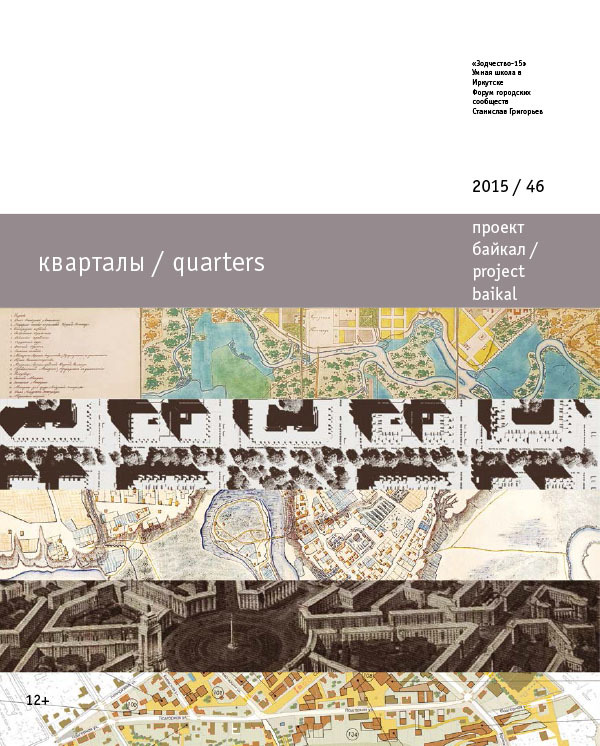 project baikal, Russian Federation, n. 46, p. 92-92, dec. 2015. ISSN 2309-3072. Available at: <http://projectbaikal.com/index.php/pb/article/view/957>. Date accessed: 26 apr. 2019. doi: https://doi.org/10.7480/projectbaikal.46.957.